When I first started chalking, I hand measured and drew every grid onto my reference image. It was a task that was both annoying, inaccurate, and anxiety-provoking. 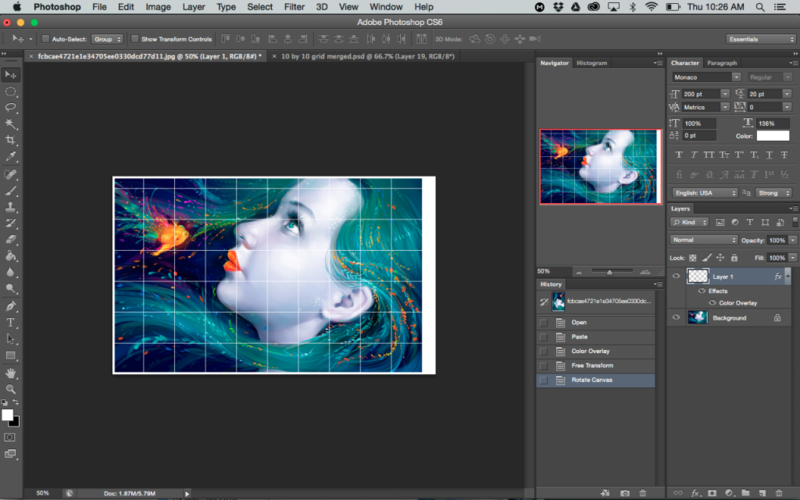 After a few festivals, I came up with a method using Photoshop that easily grids my pieces for me. I am sharing it here so that you too can drop the pencil and pick up a mouse and get it done in a snap! If you have no idea what this is used for, don’t fret, just stay tuned since we’ll be posting more about how to do the grid method for making chalk art soon. I want to thank artist Nhan Thanh Nguyen for letting me recreate his work (the image I am using in this post) at the upcoming Bloom N Chalk Festival. 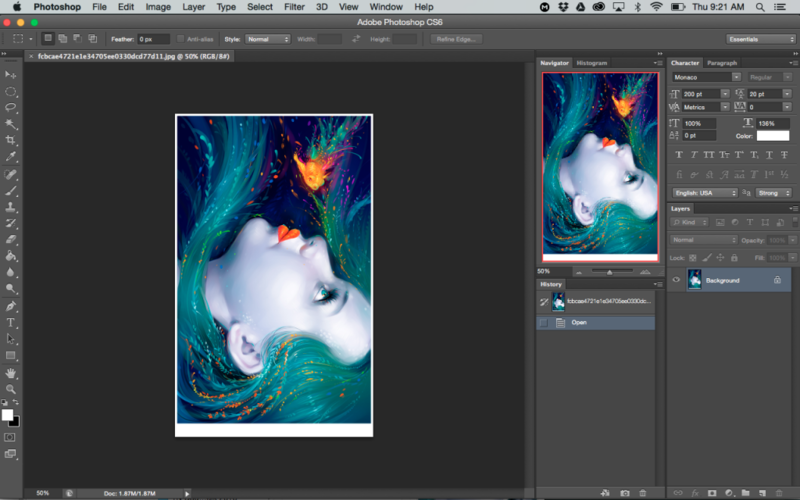 If you don’t have Photoshop, Adobe always offers a free 30 day trial on their website. You can download it and test it out. Also, any version of Photoshop will work for this method. 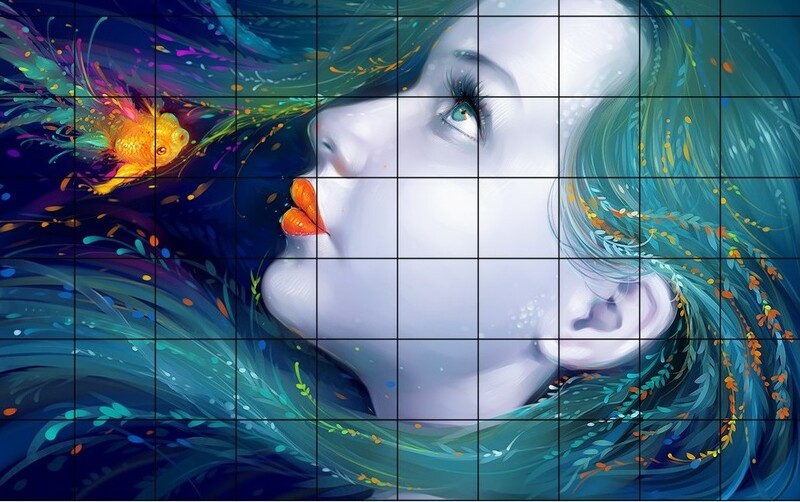 The transparent grid I built- Click here to download it! Make sure the photo you want to chalk is downloaded to your computer. 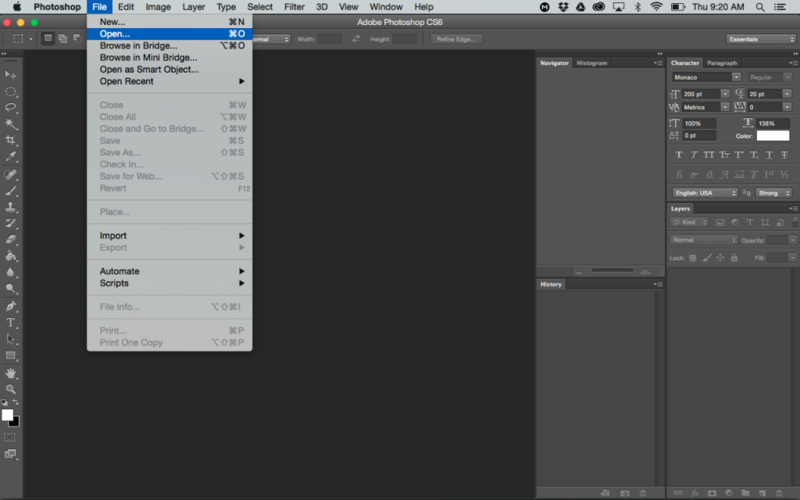 Once Photoshop is open, click “file” at the top of your screen, and “open” and locate the image you want to chalk. Open it. Those checkerboard grays mean that the background is transparent. So, essentially, the grid is see through. 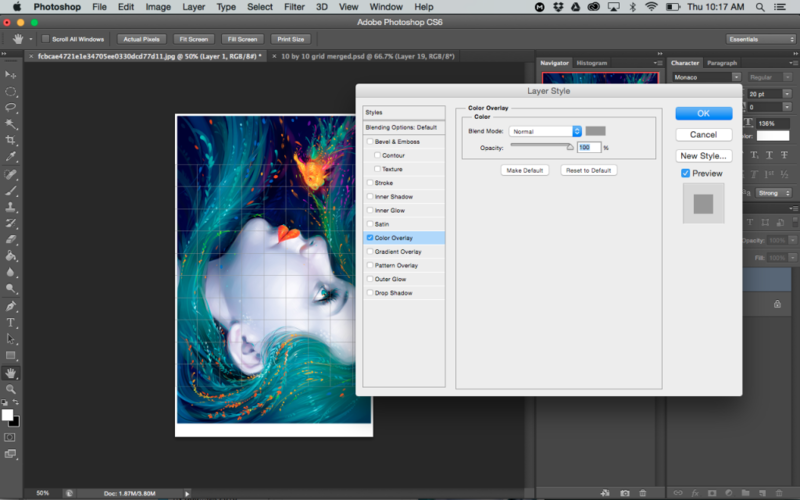 Make sure that the grid layer** is selected (it’s the one the arrow is pointing to in the image below). Then, go to the “select” option at the top of the screen and hit “all”. You should see little dots marching around the whole image. Then go to “edit” and “copy”. ** If you do not see the grid layer in your right side bar, go to “window” at the top of your screen and make sure that “layers” is checked. If not, click “layers” and it should show up. 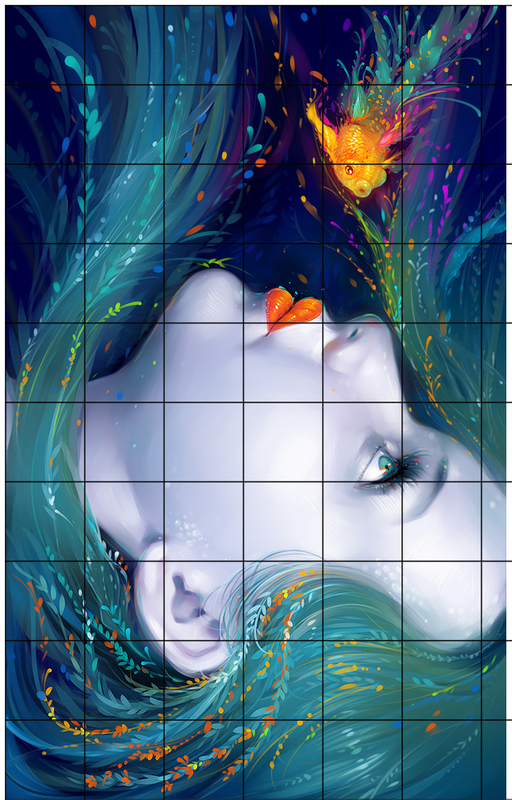 Now we adjust the grid so that it covers your image snugly. 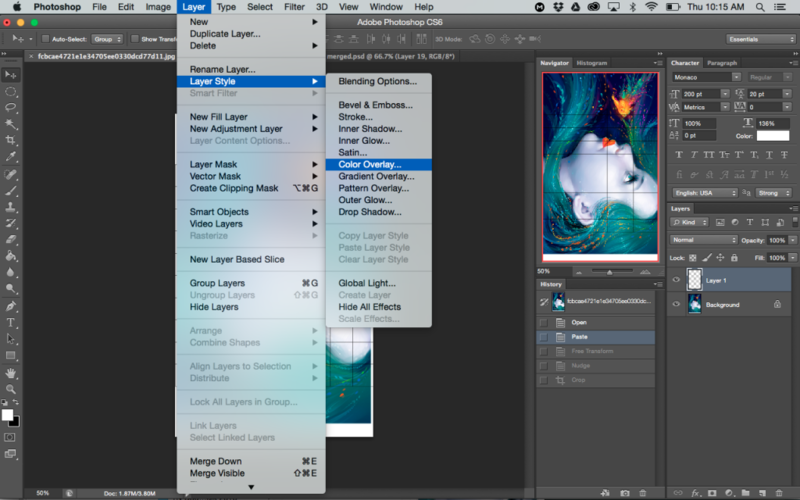 Make sure that “layer 1” is selected (that is your grid layer). We want it selected because it will be the layer you are adjusting. Then, go to “edit” and click “free transform”. This will make a box appear around your grid. HOLD DOWN THE SHIFT KEY THE ENTIRE TIME YOU ARE FREE TRANSFORMING. If you let go or do not hold shift at all, the grid will not be even and you will not be able to chalk from your piece. 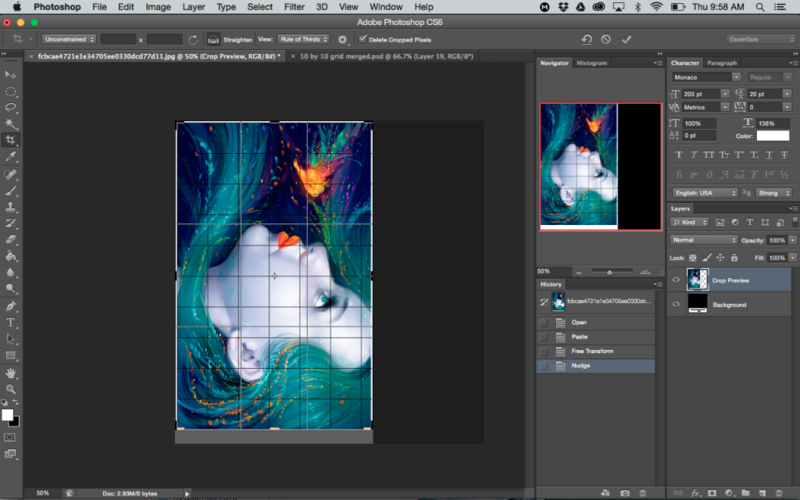 So, hold down the shift key and drag the corners of the grid around on your piece until it’s aligned how you want. In the above image, I pulled the square so that it created a rectangle on the part I want to chalk. To apply the free transformation, press “enter”. 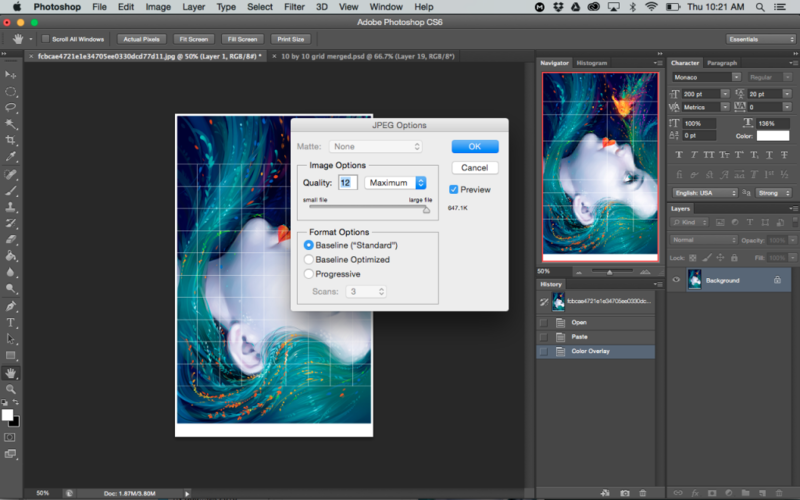 Click on the crop tool on the left of the screen. Select the area you want to keep. Double click on the area you want to keep. Your image should’ve cropped. You’re all done! It’s ready to print! The last step is to go to “file” at the top of the screen, and “save as”. Make sure that it is saved as a JPG file that the quality is set at “12” so it will save with the most possible detail. 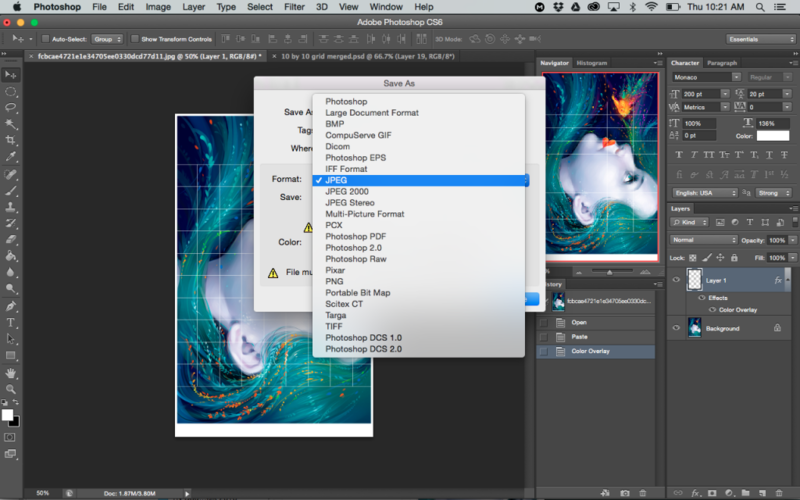 Remember where you saved your file so you can locate it and print it! This image would be 6.25′ x 10′ tall if it were chalked. 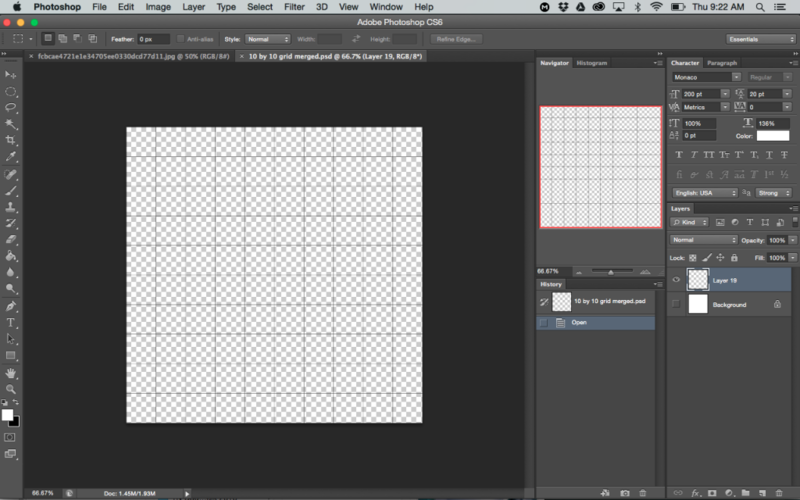 Can’t see your grid because it blends in too well? Add a color overlay. Make sure that your grid layer (it should be “layer 1”) is selected and go to “layer” at the top of the screen, “layer style”, and then “color overlay”. Make sure that “preview” is checked (it’s on the right side of this pop up) so that you can see your grid change colors and pick one easily. Click on the solid color box above the percentage. 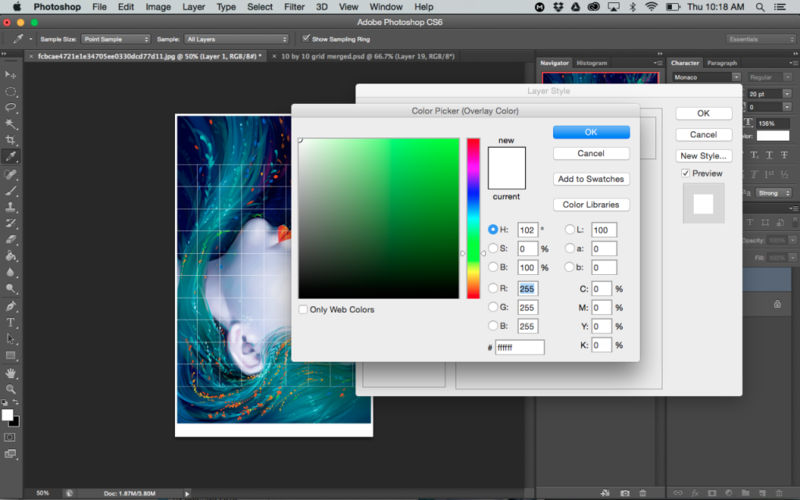 Then pick a color to overlay. (for example, if your image is dark, try white). Click “ok” and then “ok” again to confirm the layer styles. Now you should have a new color for your grid! Need to rotate your image? Go to “image” at the top of your screen and hover over “image rotation”. 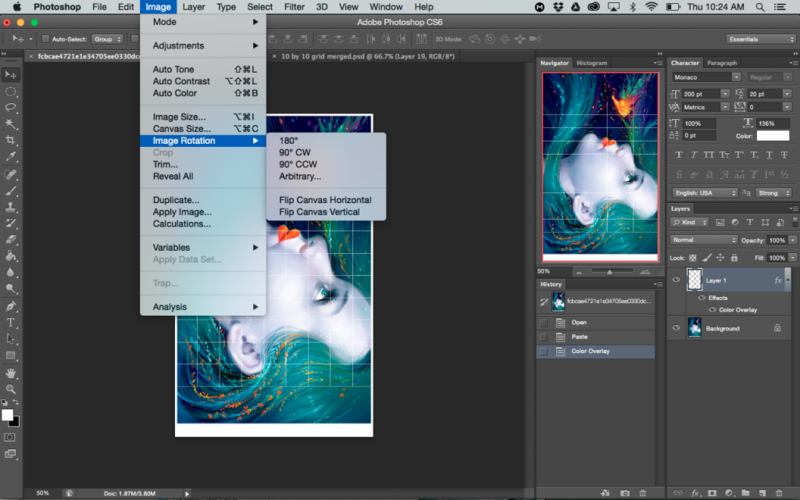 Figure out which way your image needs to be oriented and click on it. Just in case, you can undo your last rotation by going to “edit” at the top of the screen, and hitting “undo”.